Irvine, CA (March 1, 2017) – Bosch home appliances, recognized as the quietest dishwasher brand in the U.S. for ten consecutive years, continues to evolve the dishwasher category with the introduction of the new Bosch dishwasher line. Taking cues from the variety of consumer preferences when it comes to loading the dishwasher, the new line is designed to simplify kitchen cleanup through an array of groundbreaking features and category-firsts, including the new MyWay™ rack. By putting the consumer experience first, Bosch continues to simplify the process of kitchen cleanup. To create the new line, Bosch conducted countless hours of consumer research, observing and analyzing how consumers interact with their dishwasher. These valuable insights into the most common challenges consumers face when loading and unloading the dishwasher informed the overall design of the line. The end result is a dishwasher that is truly inspired by and invented for the consumer. ● MyWay Rack: Recognizing that each member of the household has a different preference for how they load the dishwasher, Bosch developed the new MyWay rack. The MyWay rack provides the industry’s largest loading capacity**, offering the flexibility to meet the unique needs of every load of dishes. The tiered third rack provides space for hard-to-fit items like cereal bowls and large cooking utensils, while a silverware insert tray with foldable tines easily accommodates cutlery. The ability to load these items into the new third rack creates more room throughout the rest of the dishwasher for other kitchen items, making cleanup more efficient. What’s more, the tiered angle of the MyWay rack creates space for stemware in the middle rack. ● EasyGlide™ Rack System: The new EasyGlide Rack System simplifies loading and unloading the dishwasher by providing a smooth glide in the racks. The System features ball bearing wheels, which require less force than a traditional rack system to operate, making it easier to control the movement of fully loaded racks. The EasyGlide Rack System provides quality users can feel every time they load and unload the dishwasher. ● FlexSpace™ Tines: Since every dishwasher load is different, Bosch designed FlexSpace Tines to accommodate large or bulky items, including pots, odd-shaped pans or serving dishes. These adjustable tines allow the dishwasher to accommodate more items by making efficient use of the lower rack space. With FlexSpace Tines, hand-washing cookware is a thing of the past. ● ExtraDry: ExtraDry provides enhanced drying results by activating higher water temperatures during the final rinse cycle, ensuring dishes come out of the dishwasher dry. ● Speed60®: The Speed60 cycle transforms lightly soiled dishes from dirty to dry in about 60 minutes. This innovative cycle uses sensors to detect the soil level and adjust cleaning settings to ensure sparkling clean dishes, fast. Bosch dishwashers are available beginning at $699 MAP. To explore the new Bosch dishwashers, please visit the Bosch Dishwasher Microsite. *Based on an average of sound ratings of 24” Full Stainless Steel Tub Dishwashers contained in major brands websites. Major brands defined as TraQline Top 5 Market Share June 2016. **Vs. major brand with third rack. Major brands defined as TraQline Top 10 Market Share June 2016. 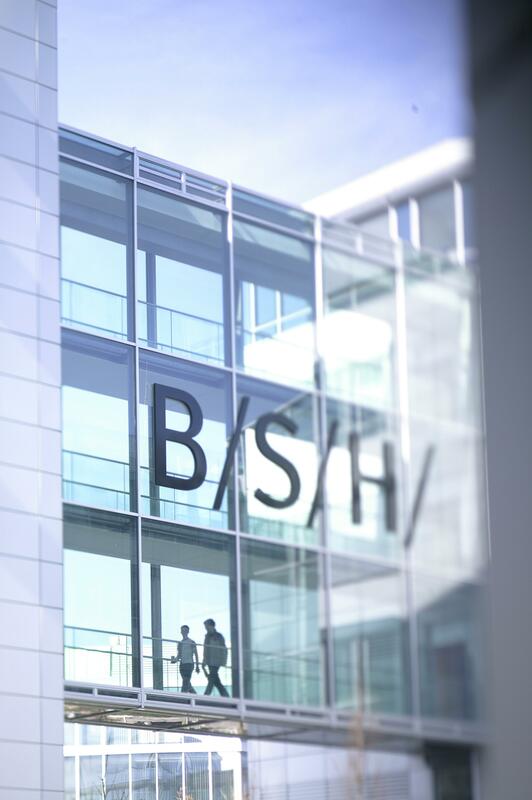 About Bosch home appliances Bosch home appliances is part of BSH Home Appliances Corporation, a wholly-owned subsidiary of BSH Hausgeräte GmbH, based in Munich, Germany. As part of the largest manufacturer of home appliances in Europe, and one of the leading companies in the sector worldwide, Bosch has been selling high performance German-engineered appliances in the United States since 1991. Known nationwide for raising the standards in quietness, efficiency and design for appliances, Bosch frequently receives top ratings in leading consumer publications and received awards from ENERGY STAR for eight consecutive years, from 2007-2014. With U.S. headquarters in Irvine, Calif., the company also operates manufacturing facilities in La Follette, Tenn. and in New Bern, N.C., housing state-of-the-art factories for dishwashers, ranges, ovens and cooktops. For more information about Bosch home appliances, visit www.bosch-home.com/us, like Bosch facebook.com/BoschAppliances, or connect on Twitter @BoschAppliances and Instagram @BoschhomeUS.